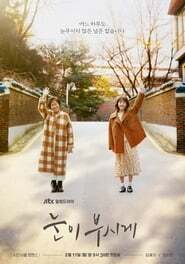 overview : This drama is about a woman who loses all her time before she can use it up and a man who gives up all of his radiant moments and lives a lethargic life. Kim Hye Ja hopes to become an announcer. She is honest and has a positive personality, but she suddenly becomes a 70-year-old woman. 70-year-old Kim Hye Ja gains the special ability to manipulate time. Meanwhile, Lee Joon Ha wants to become a reporter. He has worked hard to achieve his dream, but he now lives his life hopelessly. He gets involved with Kim Hye Ja.